After almost two years of development we can’t wait for you to try our new version of Debenu Quick PDF Library for Android. It is now ready for download and purchase through the Debenu website as part of version 11.15. This new version for Android is the full Debenu Quick PDF Library API minus printing and EMF functionality. If you are familiar with developing using Debenu Quick PDF Library on Windows then doing the same on Mac, iOS and Android will be easy for you. 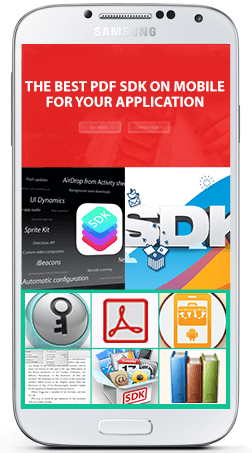 This new Android version is part of our new cross-platform compatible library which already supports Windows, Mac and iOS, and will in the next few months support for the Linux platform, as well as the Xamarin development environment. The new cross-platform compatible library is written in C/C++ which ensures that we’ll be able to support a variety of different platforms in the future as required. Our goal is to support as many platforms and programming languages as possible to give our platform-agnostic customers the ability to create powerful applications that work with PDF files wherever they need to. Stay tuned for more updates of all our products and especially for the new Linux version coming soon! This entry was posted in Debenu Quick PDF Library, News, Releases and tagged android, mobile pdf sdk. Bookmark the permalink.